247 x 310 mm., 9 ¾ x 12 in. Tudor was born in Monmouth, the son of Owen Tudor, a bookseller. 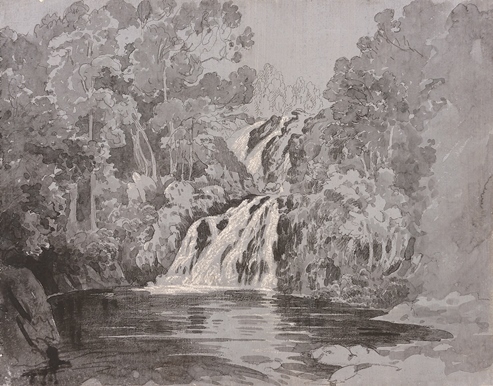 He started drawing at a young age providing plans and drawings of local houses and first exhibited at the Royal Academy in 1809. 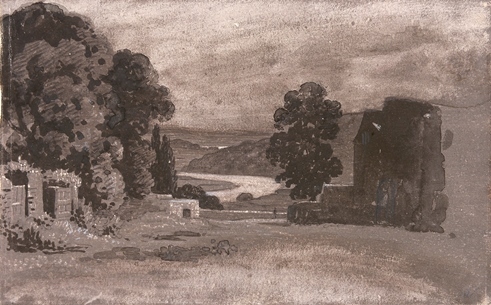 He continued exhibiting until 1819 but became a land agent, building Tudor House at Wyesham near Monmouth where he lived for the rest of his life. He was also a collector of paintings and owned works by Reynolds, Van Dyck and Turner whose studio his diary records he visited in June 1847. A number of Tudor's drawings were bought by the Walker Galleries in the early 1960s and they held an exhibition of his work in June 1961. 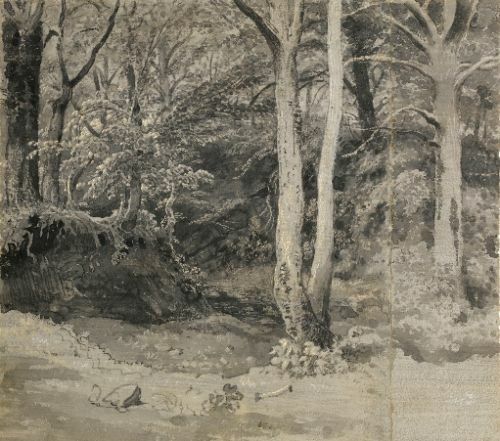 The present drawings were with Walker Galleries but not in the exhibition. 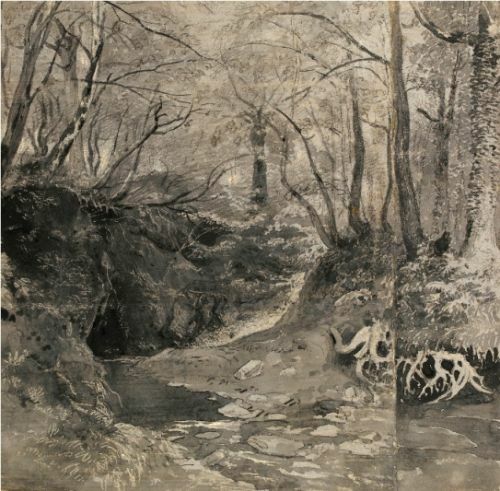 The first Welsh exhibition of his work was at Monmouth Museum in 1979. 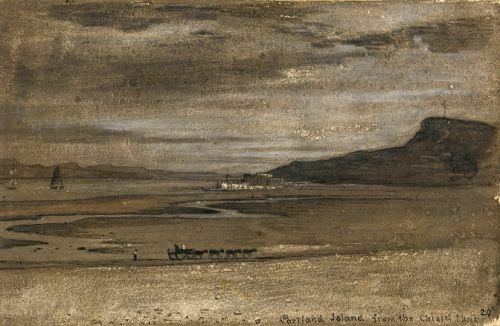 24.7 x 31.3 cm., 9 x 12 in. 149 x 236 mm., 5 ¾ x 9 ¼ in. 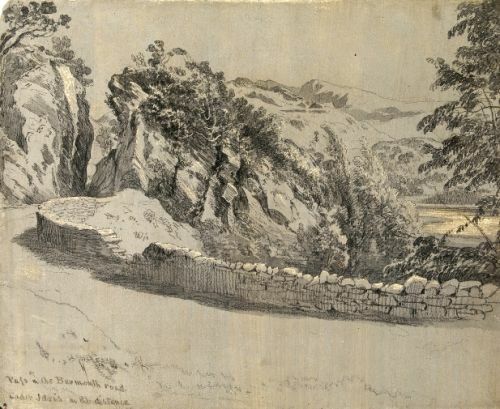 Cornelius Varley drew the same view in 1803 inscribed `Going to the Devil’s Bridge from S. Wales’ (see Lowell Libson, Cornelius Varley - The Art of Observation, 2005, no.28, p.94, ill.).